Much like the festival, the spot calls Brexit an overhyped and undeliverable 'shitfest'. A youth organisation campaigning for a new public vote on Brexit has compared the process of leaving the European Union to the illusive Fyre Festival in its latest social campaign. Our Future, Our Choice is calling on young people to join the "Put it to the People" march with a tongue-in-cheek spot inspired by the now notorious Fyre Festival trailer. 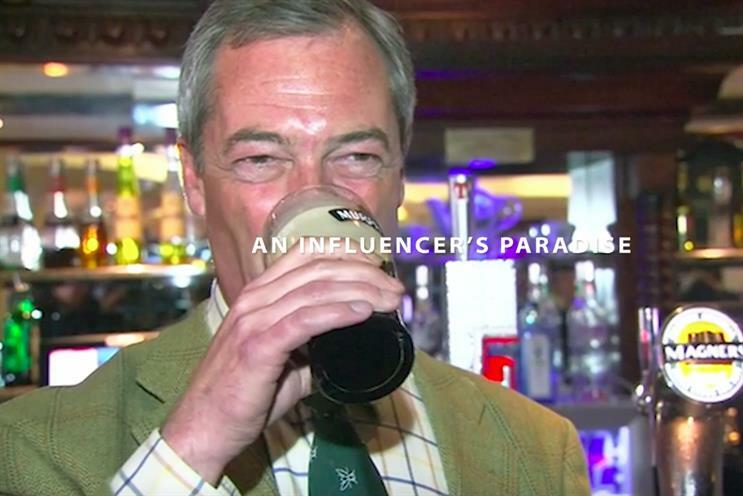 The one-minute film, made in association with the People's Vote campaign, depicts Brexit as an "immersive leaving experience built on the boundaries of the impossible" complete with Morris dancing, hospital staff breaking into the dance from Gangnam Style and plenty of booze. Created by Odelay Films, it finishes with the line: "Overhyped, undeliverable. Brexit is a shitfest." The spot then urges people to join the march, which takes place in London on Saturday 23 March – six days before the deadline of when the UK is supposed to leave the EU unless an extension is agreed. The work was written by Daniel Fisher, creative advisor to People's Vote, and Lloyd Daniel. It features stock footage of Leave figureheads Nigel Farage and Boris Johnson. The last march for a "people's vote" took place in October last year and attracted about 700,000 people. The way forward remains unclear, after parliament rejected Theresa May’s exit deal in two meaningful votes. Sarah Baumann, director of marketing at People's Vote, said: "With Fyre Festival being on everyone's lips this year, it felt like the right metaphor to use, and with just nine days to go, it couldn't be stronger. Hopefully, this will encourage the younger generations, whose very futures are at stake, to join in on Saturday." The march is in partnership with The Independent's Final Say petition and is supported by politicians including former Green Party leader Caroline Lucas and outgoing Liberal Democrat leader Sir Vince Cable. Brexit: what's in store for the industry? What would your advice be for The Independent Group?